Code doesn’t care whether you are new to programming or an old pro, a citizen developer or the head of engineering, some missteps can catch any of us. 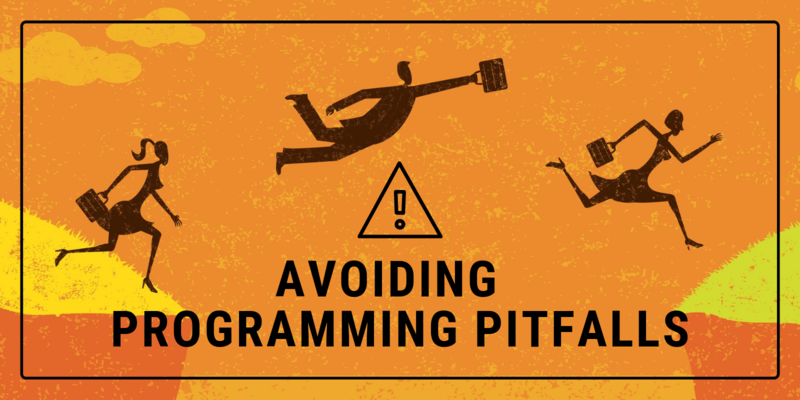 Read on to learn some of the most common programming pitfalls and how to avoid them. XML can sometimes be a bit confusing, so here are some tips to help you work with XML files. First, you need to make sure your XML is really XML. When you add a control such as a PushButton to a Window (or a WebButton to a WebPage or an iOSButton to an iOSView), an instance of the control is created for you and added to the layout. Code that is in the event handlers of a control added in this way can refer to both its own properties and methods as well as the properties and methods of the window. might not have any downsides. I would argue that they do.